By John F. McKenna (McJack): WBA/IBF light welterweight champion Amir Khan (26-1, 18 KO’s) who faces mandatory challenger Lamont Peterson (29-1-1, 15 KO’s) on December 10 at the Washington, D.C. Convention center continues to call out undefeated WBC welterweight champion Floyd Mayweather Jr. (42-0, 26 KO’s). The boxing world has long awaited a fight between Mayweather and World Boxing Organization (WBO) welterweight champion Manny Pacquiao (54-3-2, 38 KO’s) but after Pacquiao’s lackluster performance Saturday night against his long time rival WBO/WBA lightweight champion Juan Manuel Marquez (54-6-1, 39 KO’s) that fight may not materialize any time soon. 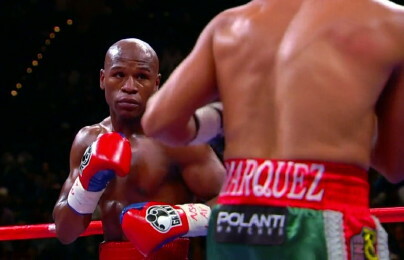 Top Rank Promotions CEO Bob Arum has indicated that he would like to see yet another fight between Pacquiao and Marquez. Pacquiao has been agreeable to a 4th fight with Marquez, but it is unclear whether Marquez wants such a fight. Waiting in the wings is the native of Bolton, England Amir Khan, who at 24 is quickly approaching his peak. Khan and Paquiao are stable mates and are both trained by 5 time trainer of the year Freddie Roach. Khan frequently trains and sometimes spars with Pacquiao when preparing for fights at Roach’s Wild Card Gym in Hollywood. “A Mayweather fight, you know that can happen in the next 9 to 12 months. It’s a fight that the public wants – it’s a public demand fight and also boxing fans would love to see that fight instead of Mayweather fighting someone they know he’d beat. Khan will also have a 10 year age advantage over Mayweather, who will be 35 in February. Amir has acknowledged that he must get past his next challenge of defeating Lamont Peterson. It is thought by many boxing observers that Peterson will give Amir a stiff test in their December 10 match.